In any negotiation, the party that is better prepared will typically enjoy significantly better outcomes. Negotiation starts earlier in the customer’s purchasing process than most sales professionals realise and by the time they do understand that, it is often too late to negotiate on value and all they are left with is price. The result is often reduced revenue and margins and a lack of appreciation by either party of the real value of the solution. How does Negotiation Skills training work? Negotiation Skills is a sales training course that helps sales people to create and communicate the differentiated value they bring to customers and crucially how to capture a fair share of the value created. During this sales training course, delegates will learn how to use the BARTER framework to strengthen a negotiation position by communicating the differentiated value they can bring. Begin with the end: Everything said and done will have a bearing on the negotiation, so the course teaches delegates to think ahead in interactions. 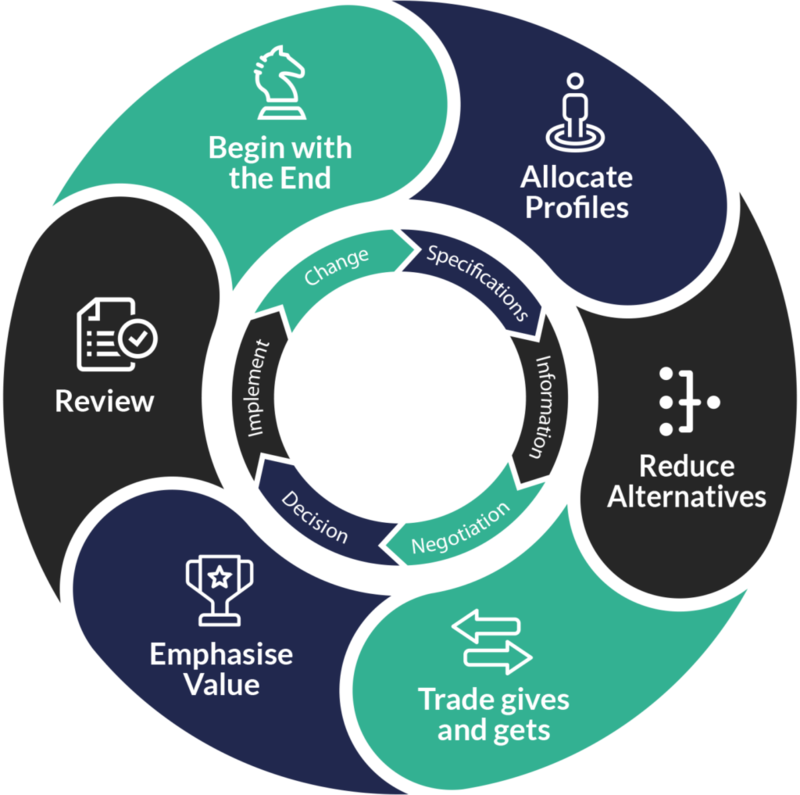 Allocate profiles: Different customers negotiate in different ways, so profile the key stakeholders and use the appropriate play book for each type. Reduce alternatives: The power in any negotiation is in having alternative options. The framework can ethically reduce these in the specification stage to strengthen the position. Trade gives and gets: Never give without receiving is a basic concept but not always used. Emphasis value: Often the client conveniently forgets the value generated, the framework can remind them. Review: Proactively review the deal to look for any post settlement opportunities. Understand different negotiation profiles and how to collaborate effectively with the customer for better outcomes. Learn how to build compelling value through the sales process. Communicate the differentiated value that your solution will provide. Defend margins and win more customers. Appreciate the tactics that a commercial buyer uses to reduce price. Understand and apply the psychology of influence in an ethical way. The aim of this course is to provide delegates with the tools they require to become more assertive in their approach, build value and retain the maximum possible return on each and every sale. Value Based Negotiation Skills is right for any member of a sales team for whom communicating and capturing a fair share of value with a prospect or customer is an important part of what they do. Salestrong use live or simulated customer interactions to deliver insights into how negotiating decisions are made.